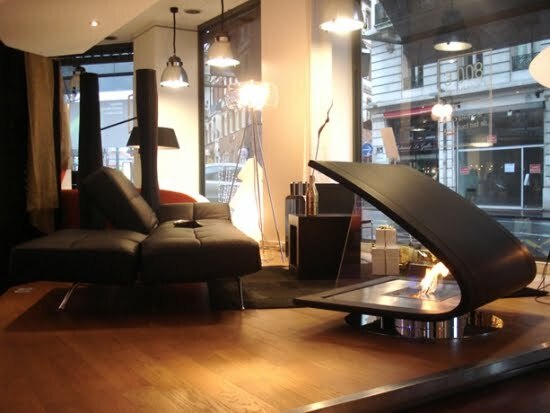 This bizarre-looking fireplace is designed by John Dimopoulos, the director of Geoform, Design & Architects Firm. Zeta is named after the likeness of its shape as the Greek letter Zeta. 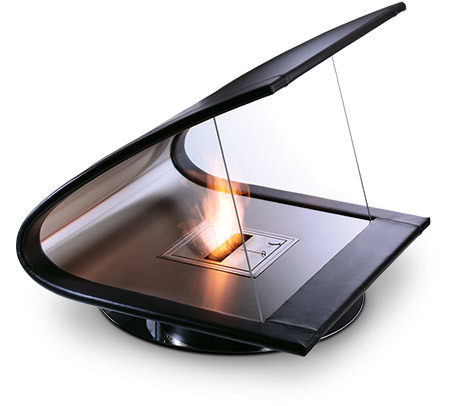 Using stainless steel, wood and leather, the fire is completely portable and has no need for a conventional flue. A glass screen sits on either side of the fire to protect the flame. The fire is powered by denatured ethanol, an eco-friendly and sustainable fuel, making it healthy as well as pleasing.